You can see availability and also directly make a reservation on www.booking.com mentioning B&B Singel 100, or send us an e-mail with your request. for a stay of 2 nights or more. Room only (one or two persons) from € 120 per night. 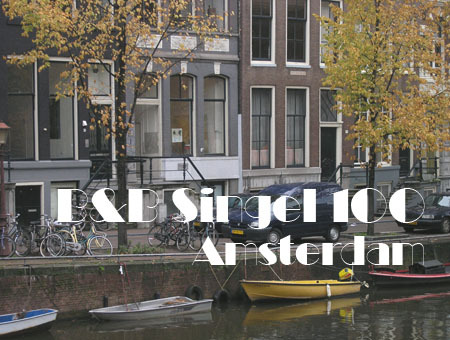 We recommend taking your breakfast at one of the many cosy cafés in the immediate surroundings, but, if you prefer, we serve your breakfast at Singel 100. Check-in 13:00 - 22:30 and check-out before 11:00 a.m. outside these hours possible on request. If the room is not available we can store your luggage.